I see a lot of time wasted in the gym doing core-specific exercises. I think it is great that you take the time to target the core since it is such a vital component that links the lower body and upper body, and provides stability to a significant number of joints, the spine. But, what if I told you there was a way to target this area WITHOUT rolling on the ground and doing a single core exercise? Before you read any further check out one of my previous posts (The Core: It’s NOT Just Abs!) where I explain exactly what the core consists of, and you’ll realize it’s far more than just abdominals! Okay, so the big secret I’m about to reveal will save you time each and every workout… You usually finish with your upper body or lower body exercises, then grab a mat to do a series of planks, crunches, or bridges, right? How about incorporating only a single dumbbell into your upper and lower body lifts? (At this point, you either thought to yourself, “That is genius!” or “That’s what all the hype was about, really?”) But honestly, it is so basic that it’s often overlooked! Do you do lunges or split squats? Hold a dumbbell only on one side. Do you perform chest or shoulder presses? Same thing, load only one arm. By loading one side of the body and continuing to focus on keeping good posture and alignment, you are forcing the core to correct for this offset load. By doing so, all the muscles of the core have to fire to keep your spine aligned without bending towards the loaded side. In the end, this may be a more “functional” way to train the core if you think about it… The core is usually utilized in conjunction with some other movement to stabilize or move the spine. Planks are great for runners, but offset loading a lunge will provide core stability while moving in a similar fashion to running. This will definitely require a reduction in weight due to the increased demand on balance and stability. But, it will address more muscles. Below is a quick video on offset loading with the lunge and chest press. If you’re sick of rolling around on the ground doing core exercises, give this strategy a try. 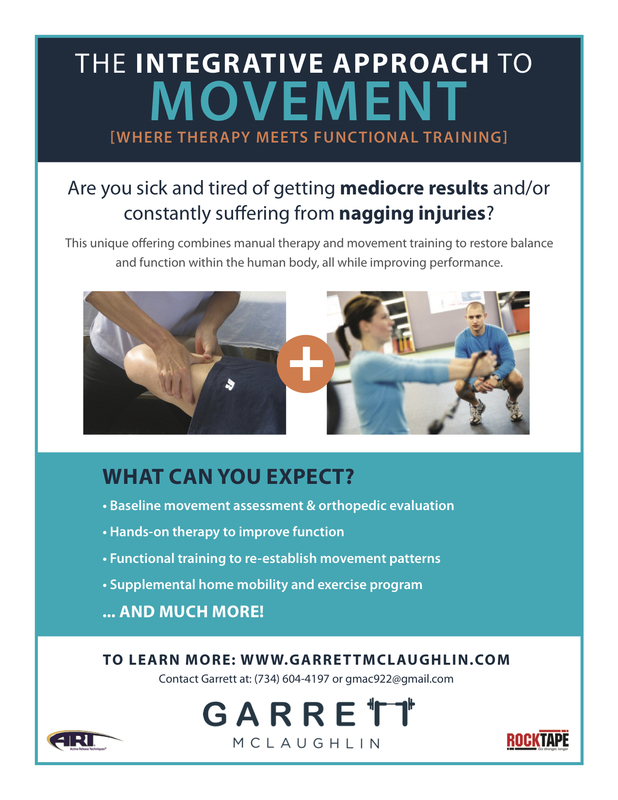 Garrett McLaughlin is an athletic trainer, performance coach, and certified active release techniques provider. He is passionate about creating safe, and effective fitness and rehabilitation programs for the general population and athletes. ‘Like‘ Garrett’s Facebook page to stay up-to-date on related health, fitness, and nutrition information.